A GAA fan says she was left “shocked” and “embarrassed” when she was told by a stadium steward to breastfeed her baby in the toilets at a game last weekend. Mayo fan Iseult Mangan arrived early at Saturday’s game with Kildare so she could breastfeed her five-month-old baby Senan before St Conleth’s Park in Newbridge filled up with crowds. But she says a steward told her the seats in the stand were reserved, and she could not use the tiered steps in the stand to breastfeed. “I needed to feed my baby and after a three-and-a-half-hour car journey and knowing I would be in the stadium for close to four hours I couldn’t manage standing up,” Ms Mangan explained. “I asked him was he for real,and he simply turned his head and ignored me. When Ms Mangan tried to move along the stand, she was again approached by another steward, who this time came to her aid. Though the stewards were kind to her, and another steward apologised for her experience, Ms Mangan would like a response from the GAA. 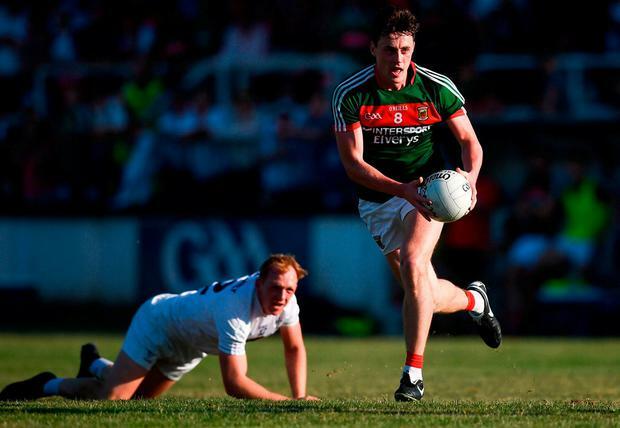 Ms Mangan tweeted her disappointment to the GAA and Kildare GAA after the game. She is hoping that the GAA will adapt a policy to educate stewards about different needs fans may have. A spokesperson for Kildare GAA said: "Kildare GAA are extremely sorry that this incident occurred and a member of our event team apologised to Iseult Mangan immediately when we became aware of it." "We have already made the necessary steps to ensure a similar incident will not happen in the future".